I put them in spoiler tags because they don't load unless you click them so it makes the page load easier. [USER=34654]@DarkZero[/USER] I've been here for years and I only now realize you make music. What have I been doing with my life? My work computer is crap and can't stream for sh*t but I will go through each and every page once I get home. You should name your next album "Duly Noted". 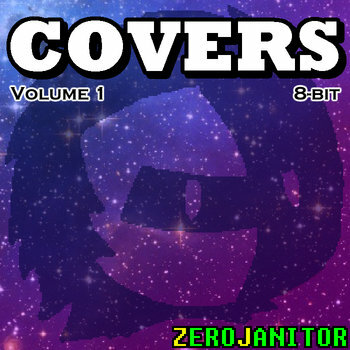 I made a compilation of my 8-bit covers from YouTube (the non 8-bit ones will be a separate release) and it's free to download. It's not all of them, it's just most of the ones that were popular or that I'm personally proud of. Love that Heat Man remix. "See You Next Fall" is giving me an Earthbound vibe, and reminding me a bit of Oregon Trail and Sim City. Listening to 'Next Fall' makes me think you might appreciate this - if you have a DAW to use it in, for a more versatile guitar sound you should checkout Spicy Guitar VST. It's got a lot of tone models so it'll fit your stuff. It sort of automates the different intonations of up and down strokes a bit, and gives you mute controls and such. Do you have a favorite sound font, btw? Just curious. If you ever want me to master a track for kicks, I'd be interested. Just separate your instruments into wav files and rar them for me, and I'll give it a go. I like working with the Mega Man X soundfont because it's surprisingly versatile in terms of what kinds of music sound good with it. I don't have a commercial DAW, I can't afford it. I use OpenMPT for my non-NES tracks. It works real nice for MIDI-based stuff like SNES but it's really not a professional grade sequencer by any means. I feel you on that. My philosophy is if it's a tool for professionals and you can make infinite copies of it, don't worry about paying until you're making money off it or it's literally exactly what you need. They're all marked up, not unlike anything Adobe rebrands as theirs. For instance, they bought Cool Edit Pro which I used forever, and changed the price from (I think) about 70 dollars to 250, and renamed it Adobe Audition, after pretty much adding no extra functionality at the time. All I can say is the new logo sure must've cost a lot. I really don't like most DAWs anyway, most are designed around industry preconceptions instead of logical software decisions. Feature creep is brutal, too. I'm not 100% happy with how this turned out but oh well. The second volume is available.